Hey! Is that who I think it is? 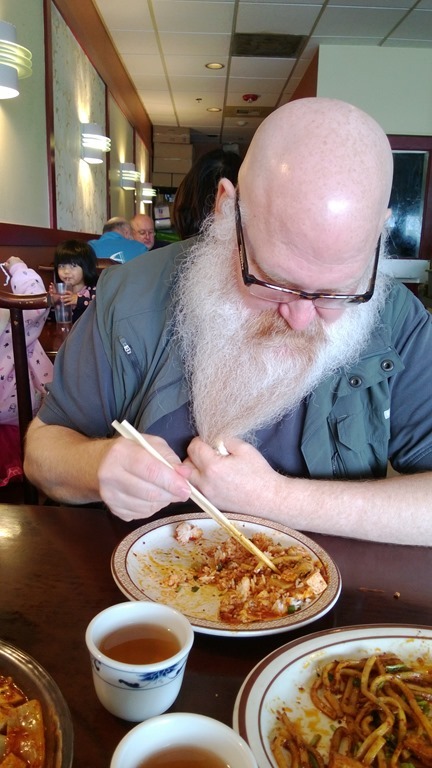 Shaun took me to lunch at our favorite Szechuan restaurant this weekend. As we chatted and enjoyed our meal I watched as a little boy wandered near our table. He walked back and forth a couple times and eventually stopped directly in front of us, about a foot back. I grinned at him and gave a little wave. He looked at me briefly, then returned his wide-eyed focus back to my husband. Now Shaun really isn’t that crazy about kids. He likes our kids. And some of their friends, but strange children really don’t do much for him. Shaun muttered about this happening all the time, gave a half-hearted wave and a small smile, then went back to his meal. I attempted to hide my mirth at the unwanted attention Shaun was attracting. Just for fun, I tried to engage the little guy, that had been joined by his two siblings, in conversation again. He simply wasn’t interested in anything I had to say. The three of them simply stared in awe at my husband. When the children were finally called away, I once again suggested to my husband that he could solve this problem with a couple quick snips of some scissors. I even volunteered to do it for him. He looked at me in horror and grumbled he could handle all the kids flocking around him. Personally, I’m not sure why all those kids are crazy about Snow White’s friend Grumpy. Could it be that they all have him confused with somebody else? 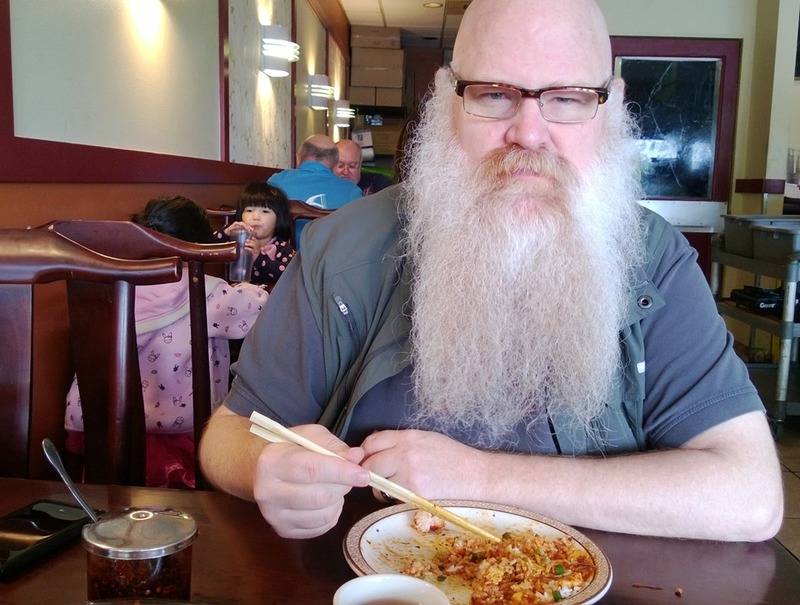 This entry was posted in Family, Food, Humor, That Man O' Mine and tagged beard, Celebrtiy lookalikes, children, Grumpy, Santa, Seven Drawfs, Snow White, Szechaun food. Bookmark the permalink. 6 Responses to Hey! Is that who I think it is? That must have been so funny to see! He wasn’t crazy about my other idea to start wearing red polos and a red ball cap. Now that would be REALLY funny! Hilarious! If you don’t mind my asking, how old is your hubby? His face doesn’t look old and I know darn good and well that he’s not nearly as grumpy as he looks! Mine doesn’t smile for pics, either! Oh, how funny! He DOES look like Grumpy though!